A little while back when the sun was shining with all of its glory and making it pleasant to step outside through the kitchen doors into the garden, I noticed how weeds were poking their weedy stems through the gaps between the patio paving slabs.It's either to attempt to rip them from the earth with my bare hands hoping to release the roots or boil the little buggers. By engineering a Flymo to perform two tasks within the garden would be of great beneficial assistance. Use the Flymo within standard mode to strim and cut the lawn utilising its plastic spinning blade. Move to the patio paved area where said weeds have taken ground.Remove the plastic blade from beneath the mower. 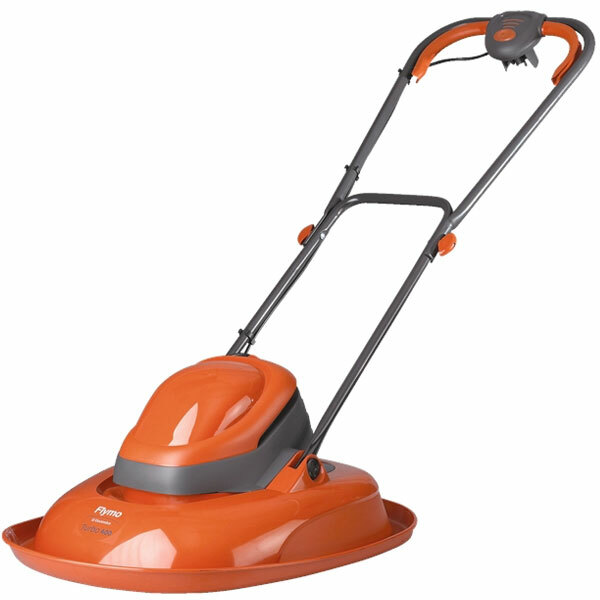 Switch to steamer mode, ensuring that the water tank reservoir upon the lid of the mower is filled with tap water. Turn on the mower and after a few seconds you will be indicated that the steamer function is ready for use "blink-blink" you may now steam the patio via the numerous high pressure steam nozzles that have been fitted to the bottom of the mower connected to the reservoir, steaming the weeds as you go. Result: weeds will die off, clean patio area, ecologically sound to use and two devices in one. My first thought was "steam powered mower?" But this is better. They exist, I think they were the first design for powering a mower. I know, which is why I was inclined to not like this idea. I like it, I need one. I'd also like to add: Why hasn't this been done? Seems pretty obvious and helpful. I would certainly buy one.